Preheat oven to 400 degrees. 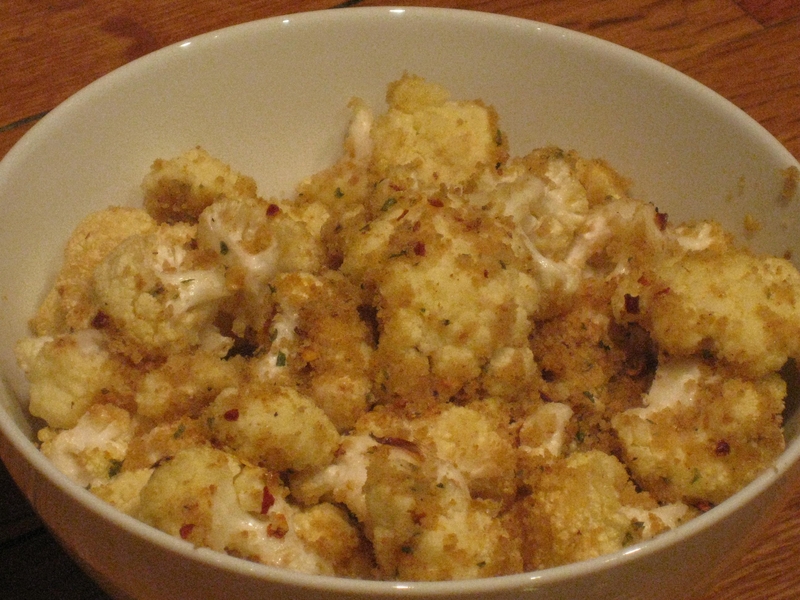 Toss the cauliflower with a few tablespoons of olive oil and salt, until well coated. Place on a rimmed baking sheet and put in the oven for 15 minutes. While the cauliflower is in the oven, use the same bowl you mixed the cauliflower and oil and add a little more oil, the breadcrumbs, garlic and crushed red pepper and mix. 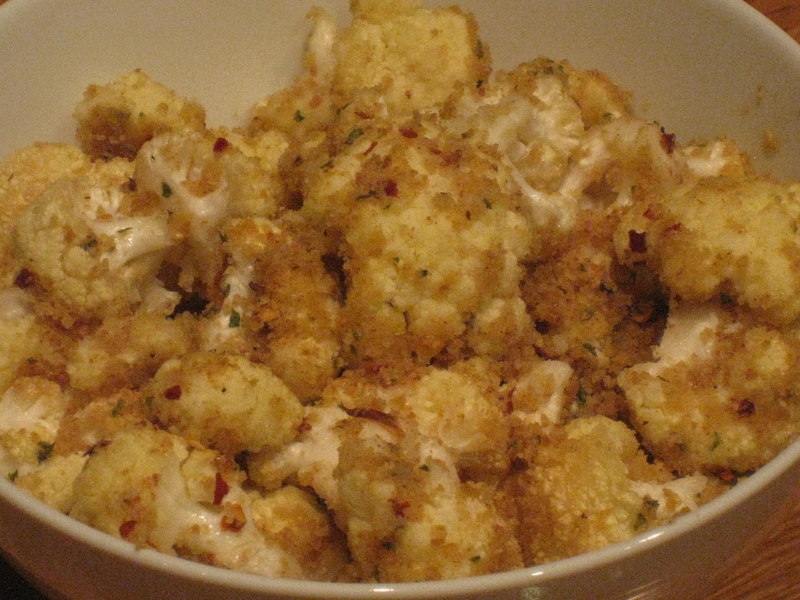 Take the cauliflower out of the over after 15 minutes and rotate the pieces and sprinkle the breadcrumb mixture on top. Return the pan to the oven for another 10 minutes. Serve and devour immediately. Previous Banana Ice Cream Love Next NYC Chipotle “Garden Blend” Vegan Alternative! !